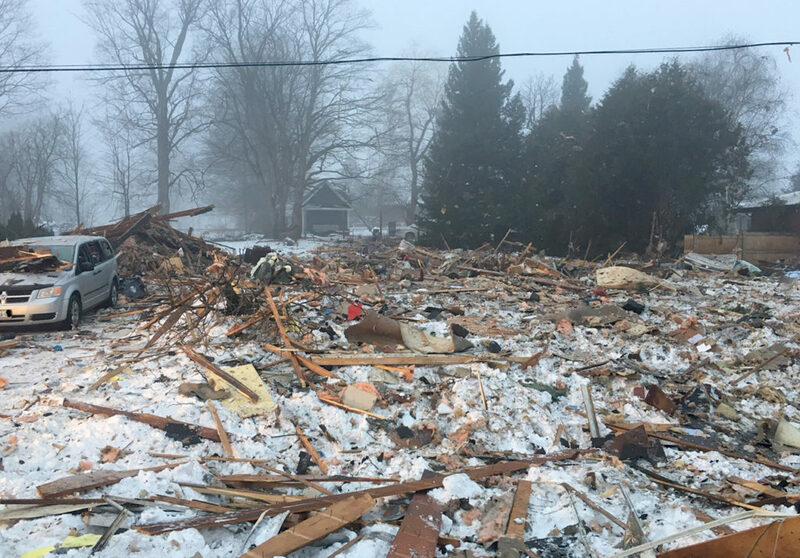 One man has been pronounced dead after a house exploded in Caledon Village on Sunday, Feb. 3 at about 6:20 a.m.
Caledon Ontario Provincial Police (OPP) identified the victim as Joseph Westcott, 54, of 9 Maple Grove Rd. Officers found debris of his house littered throughout the neighbourhood. 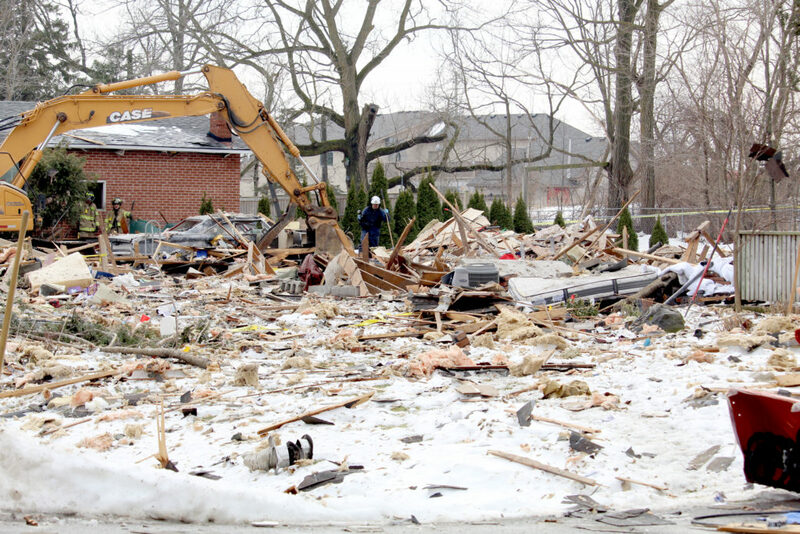 Westcott's single-storey home was decimated as a silver van, in what appeared to be a driveway, had wood chips around it. A Facebook page and LinkedIn profile, believed to belong to Westcott, states he was a journeyman with IBEW Local 353. Skye Lorimer, fire investigations supervisor for the OFMEM said it was a natural gas explosion. 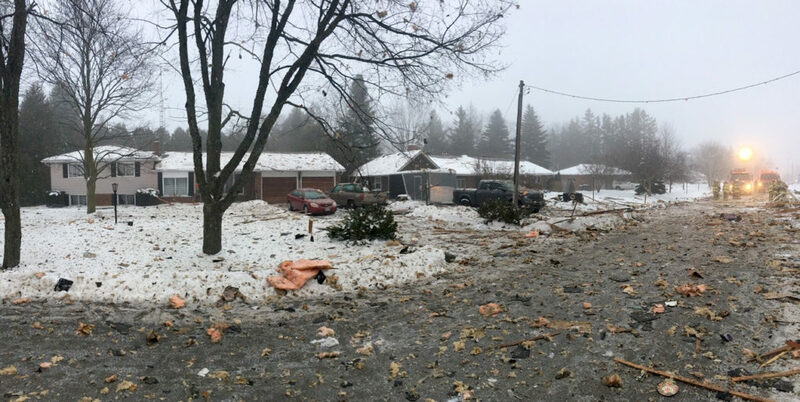 The OFMEM finished their investigation into the explosion on Wednesday evening, according to a Town of Caledon news release. 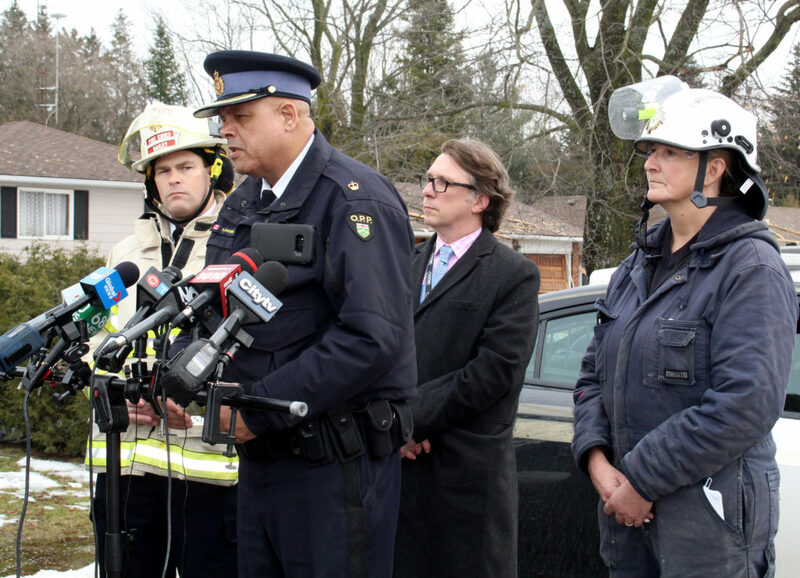 “The natural gas meter and regulator were pressure tested at Enbridge Gas,” said Lorimer. Lorimer said they cleared out all the debris from the basement and uncovered the gas lines. Mayor Allan Thompson said the gas was shut off in the area making it safe for emergency personnel. He said nobody else was hurt. Brampton Fire and Emergency Services also helped. Bailey said they have a drone performing low level flyovers trying to ensure everybody is safe. A total of 22 surrounding homes sustained damaged, at least seven of them were severely damaged. Gaynor said some of the homes have structural damage, step fractures in the bricks and some roofs have been misaligned, raised in the air and came back down. Gaynor said there's homes that don't have gas or hydro and they need structural engineers to look over their properties. TSSA officials and OFMEM engineers were examining all fuel systems in the house. Crews looked look at all appliances, such as the furnace and hot water tank to pin point the exact cause. “We will be de-layering that scene and we will be looking for all the fuel delivery system components,” Gaynor said. Peel Paramedics have been working to provide temporary shelter to displaced residents. Caterina Camilleri lives near the area of the incident. She was shaken up, in disbelief and is staying at a friend's house on Kennedy Road. Her husband went outside, gathering with neighbours, witnessing the destroyed house. Melanie Thomson-Singer is a registered nurse who lives two streets away from the house. She moved to the village 11 years ago. She said she never experienced anything like this before. 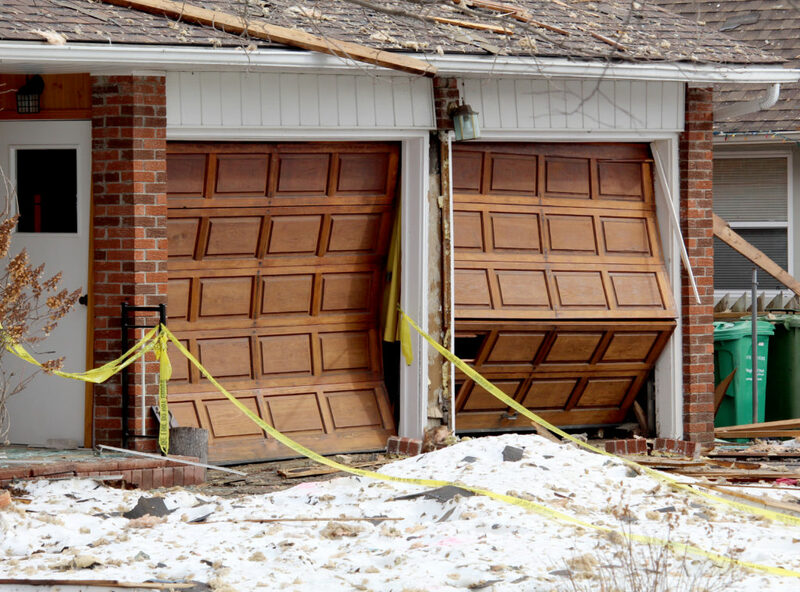 She initially thought a meteor hit the ground or a plane crashed with debris hitting her house. Those evacuated were taken to Knox United Church where they stayed and were provided with coffee, tea and food. “Initially, they were at McDonalds and Tim Hortons," said Thomson-Singer. "They had buses come collect them and take them. I think they were worried because there was talks that the gas might still be on. There could be a second explosion." 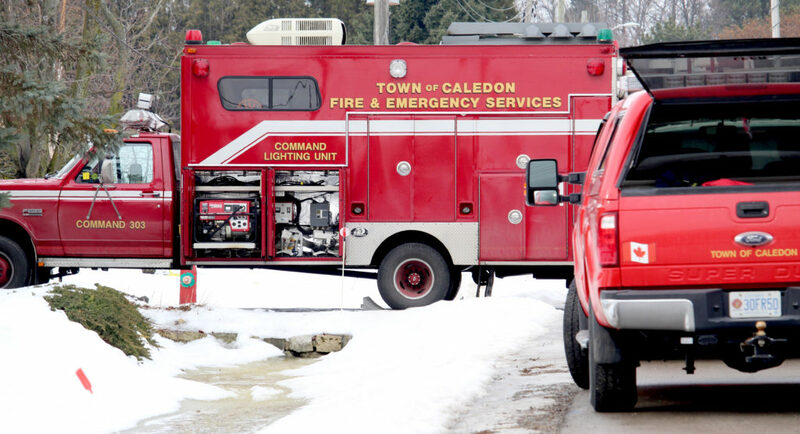 Four properties, which received significant damage, were released, in addition to the explosion site by the Town of Caledon on Wednesday. Based on inspections by town building inspectors, orders have been issued that these homes are currently unsafe to occupy. Homeowners, as of Wednesday, along with their insurance agencies, will be granted access so that adjusters, engineers and experts can assess the damage. 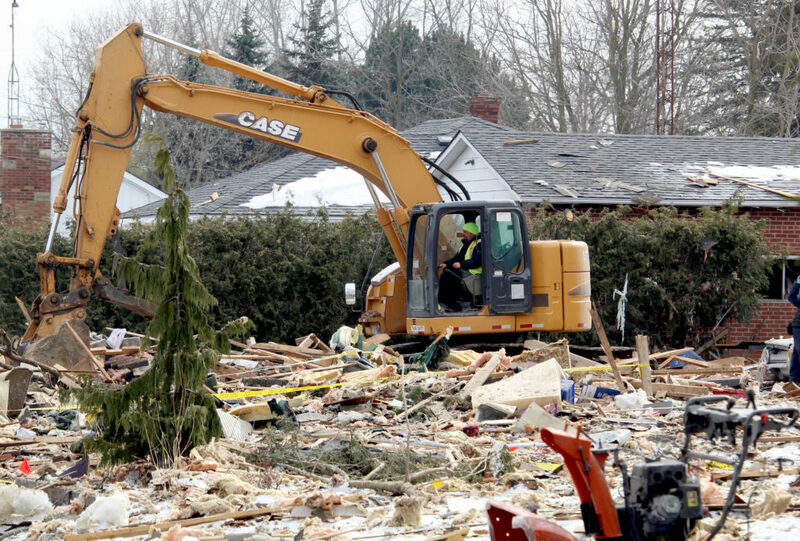 Once the homeowner is able to present the town with an assessment of the property and remediation plan (if necessary), the unsafe order will be lifted, and the owner will have full access to their home, according to a Town of Caledon news release. The Town said the process is likely to take months to complete. These properties will be fenced until the unsafe orders are lifted. This followed a meeting Monday night where impacted homeowners were provided with an updated on the status of their homes affected by the explosion. Seven initial homes were released back to the owners. Sarah Shaw, who lives on 3 Maple Grove Rd., posted on Facebook in the Caledon Village Community Group that she is home with her dog Finn. 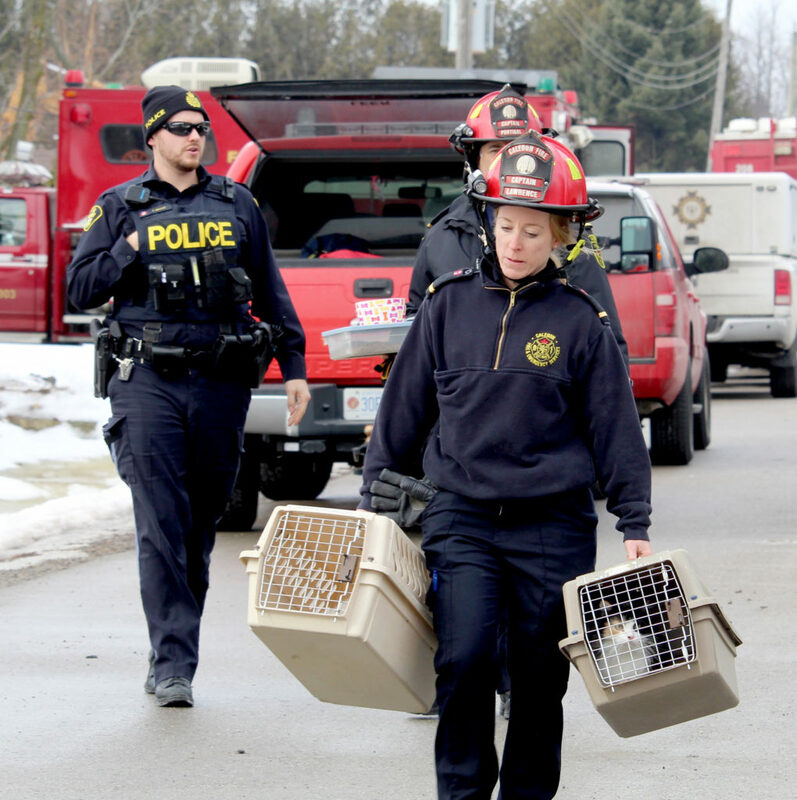 "After a group meeting with all of my other displace neighbours and many different first responder leads, town leaders and a support group, a few residents were allowed to come home to Maple Grove Road," Shaw wrote on social media. "I feel awful for my neighbours who still can't return. I have a heavy heart for the man who lost his life. I can't say enough about how amazing this community has been." Displaced residents looking to connect with family can contact and find support through the Canadian Red Cross at 416-676-8559, the Town of Caledon at 905-584-2272 and the Region of Peel at 905-791-7800. Inquires about residential gas utilities and re-energizing hydro services if residents have no been provided with another contact can call Enbridge Gas at 1-866-763-5427 and Hydro One at 1-800-434-12335. Those in need of counselling and other pyscho-social supports can call Caledon and Dufferin Victim Services at 905-951-3838.